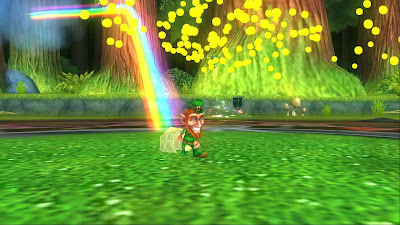 Now, I forgot to mention that the Patriotic leprechaun was finally released in the crowns shop! I really wish I could get one, looks like I won't be able to get one though, due to 27 crowns. Anyways, this pet is in the crowns show for 2500 crowns! 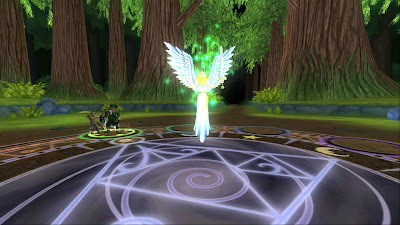 If you would like to know what it looks like, here is a design from the Wizard101 website. Talking about the fourth of July! I can't wait until Monday gets here. This holiday is my favorite holiday. 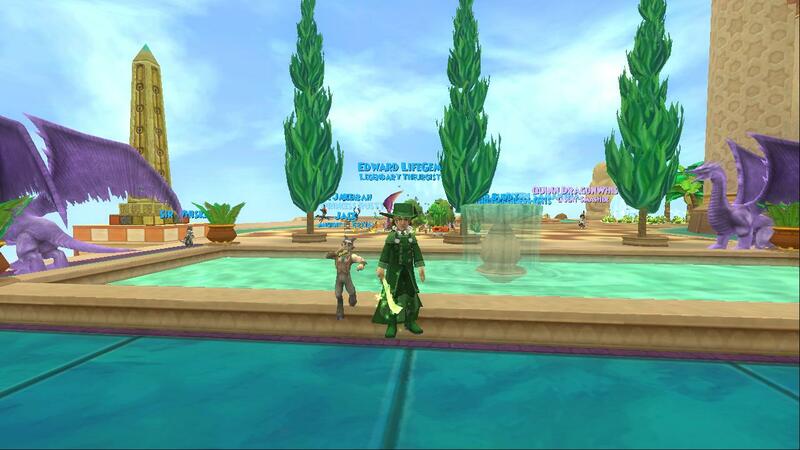 I am thinking about taking a break from wizard101 to enjoy the holiday weekend/week with family. If I do, I would most likely warn you all tomorrow about it. I don't leave right away without telling anyone that I am leaving. Can't wait to see the fireworks this year in our park, they were very awesome last year, I wish there was a youtube video for it. I might be making one to show you all! One year I was going to video tape the fireworks but the camera fell in water- now I think everyone knows who gets bad luck like this- yes, that is right! Me! Anyways, before I make a blog post about the fourth of July instead of wizard101, lets talk about something else. Okay, now writing together will get boring, this is why I divide them in sections. 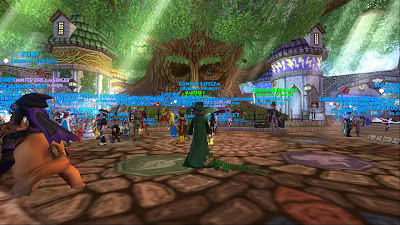 In some of my blog posts this month they have had different sections, for example: Yesterday I did another section called, My adventures through the ravenwood ball. Before that I was talking about pvp, If I put those two together I am sure I would be getting a lot of question marks for comments. That is why I put them in sections for all of those who wanted to know. 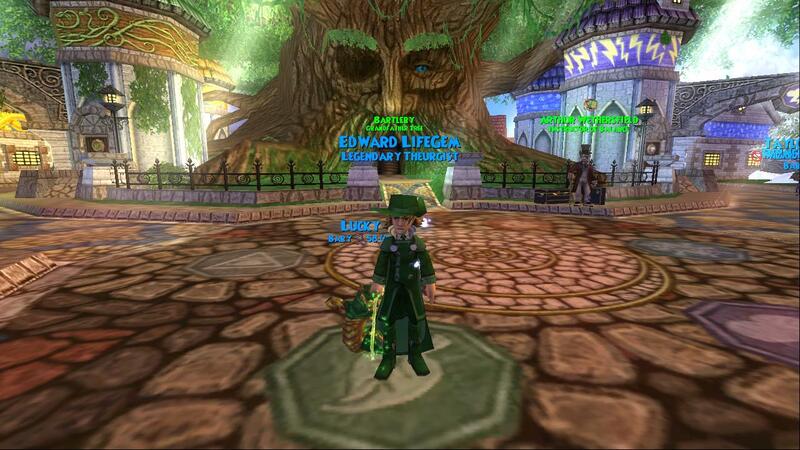 Something annoying for me is trying to get forest lord for my life character on wizard101. 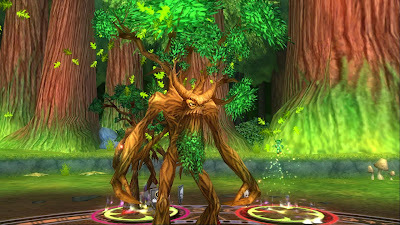 I don't think any wizards like Grizzleheim, well at least this wizard right here, I am in the beginning of grizzleheim trying to get through to get my forest lord pet that I really do want for my life character. I like my satyr pet, he just gets annoying when he has been dancing for 1 year, you know, so I want the forest lord pet :) Anyways, I don't only have to complete that world for the pet, I also have to defeat most of the Wintertusk. I think if I took time out for it I bet I could get through grizzleheim very fast! Most can't stay on 24 hours trying to get a pet though. Now just to go a little off topic from the pet, when Celestia was released on the test realm, I was on my ice character right away. I really wanted to see the new spell for ice, and I got through Celestia with my ice character in a matter of 8 hours! 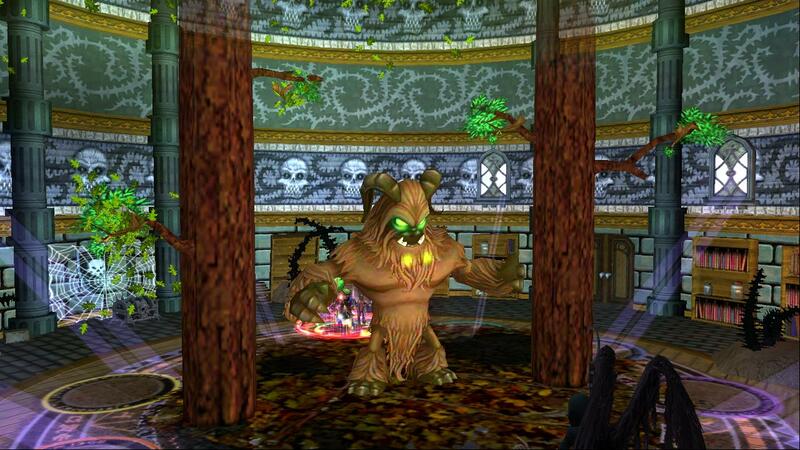 If only I could do the same with Grizzleheim and Wintertusk. Oh and when I first used my spell in the arena, a couple of wizards said it was weak, and I said: Wait for it. and then it did 600 per round! 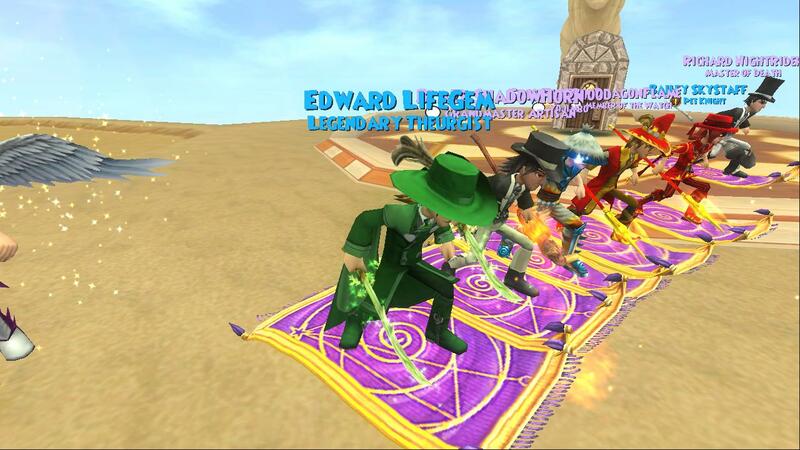 That is one strong spell if you ask me! Anyways, enough about snow angel, I hope I get my forest lord pet, and I also hope that I get the phoenix pet soon for my fire, I could get it by Christmas though since I didn't start Grizzleheim yet on my fire. Well, looks like I am done with today's blog post! I hope to see you all around the spiral! Okay just to point this out, You might be reading my blog right now, maybe not. 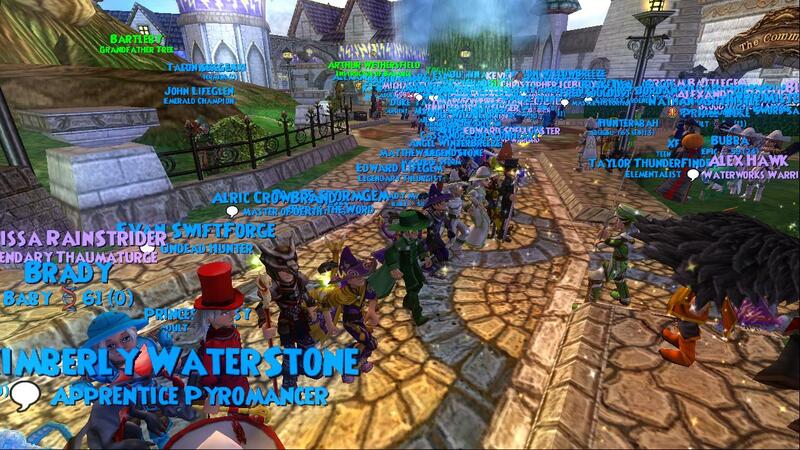 But the overreacting of the pvp incident is way too much. If I mentioned schools in a match at the Ravenwood ball when we were only having fun, I don't think that is really enough of a deal to remove/ call me a cheater in pvp/ tell me you don't like me behind my back sort of deal. Also, I usually don't do this but this really did make me mad. 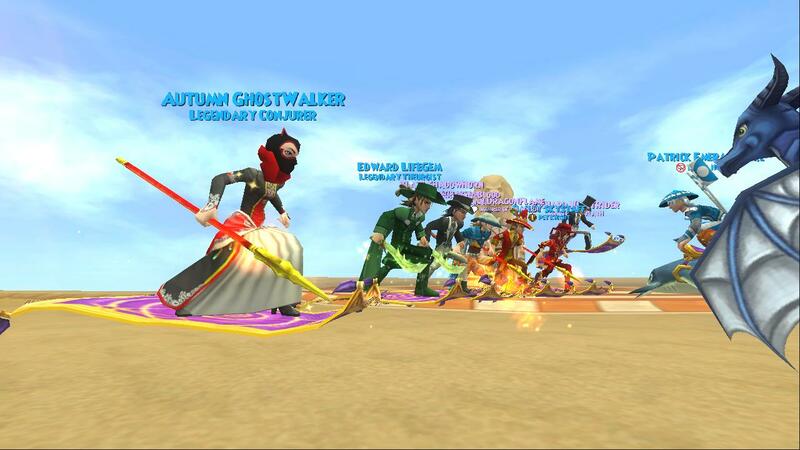 Its just a pvp match, it wasn't even a practice match, lets call it a- Fun match- since we were only having fun. Now, if this is some sort of deal of me being a big bad troll go ahead and call me it, I am just pointing out the facts. Thanks for reading anonymous. Other than the little situation, sorry guys you had to read it but that was the only way that person might have read it. Anyways, Sorry about not doing a blog post yesterday! I didn't get to because of this storm that went through the other night. It knocked out the internet and I couldn't even go on the internet, only through phone. At least there was that so I could tell you guys. Even though I am still furious about the thing above going to try to get over that soon. That was only 3:00 so imagine what it would look like at 6:00! 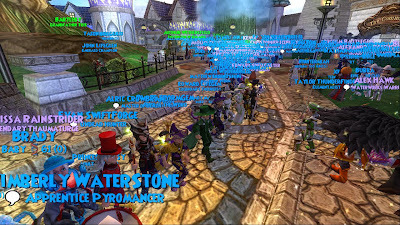 It was very full for those who were there and those who wasn't, you might be glad because you would have had a lot of lag! 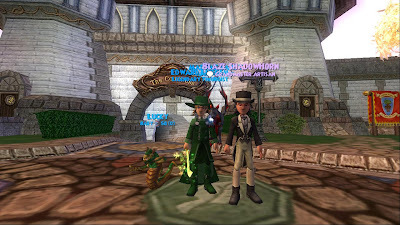 Wizard101 will be offline June 29th, 2011 from- 3:00 a.m. to 6:00 a.m. for hardware upgrades to improve game performance for everyone. This is something I wasn't going to put in my blog post, because I wasn't! Well looks like I will be ending my blog post for today, I hope to see you all around the spiral and stay safe! Pet Snake- Report Vs. W101- Party- Random Picture! How is your day today? 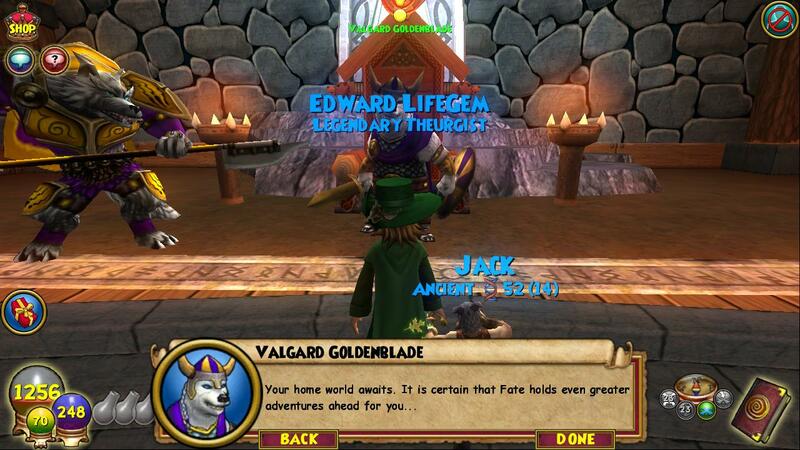 Well mine is better than yesterday :) I have actually been on the test realm other than the live realm. 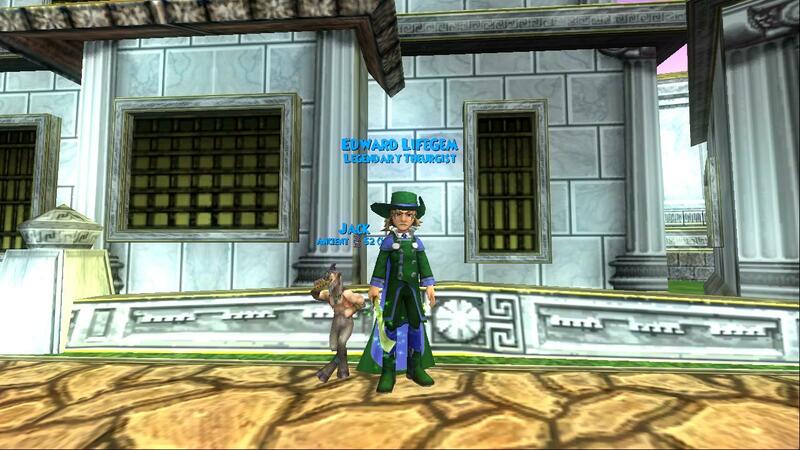 In the test realm I have been leveling pets instead of testing out the new Malistaire cut scene. I am hoping they add something to do other than that soon. 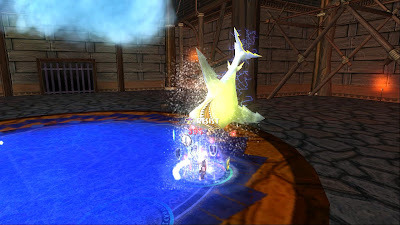 Would be awesome if they added some new spells, which they probably won't for a while. Anyways, back to leveling pets! Today, this morning, I started leveling my new pet snake that I really wanted to see what kind of stats he would give. They are pretty awesome, although I really wanted some balance damage, or accuracy. Oh well. Here are a couple of photos of him leveling up! 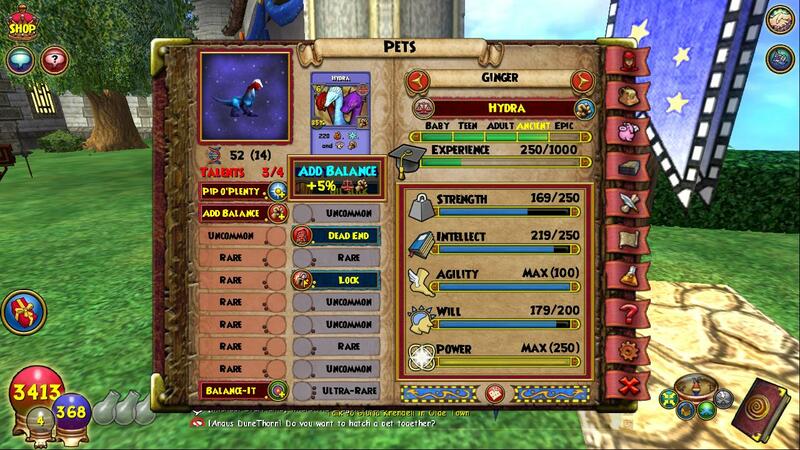 I might level this pet in the live realm soon. Unbalancer at Ancient- 7 Balance Resist! Some are wondering, what is a reportable offense? Can I report a person who is using bad language, or is it counted as a false report? Yes! You should, because it is not counted as a false report. 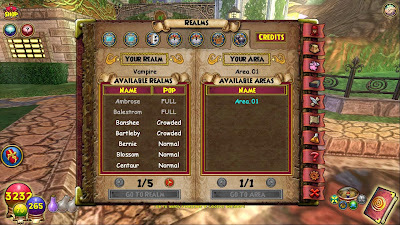 Here are some things from the Wizard101 website that is counted and isn't counted as a report. Now I have seen a lot of bad things in Wizard101, and something right now that is happening is that my friend is getting cyber bullied. That is counted as a report. This is in the test realm so don't forget just because you are in the Wizard101 Test realm doesn't mean you have to break the rules there. 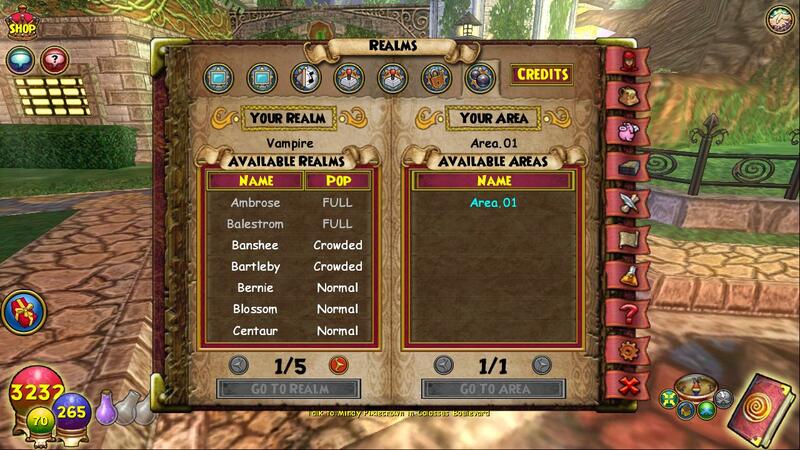 You can get reported from Kingsisle, they are in the test realm. 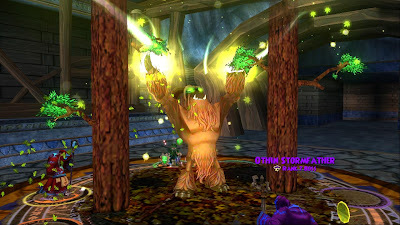 I have seen a few of them since I started the test realm. They are also in Wizard101. 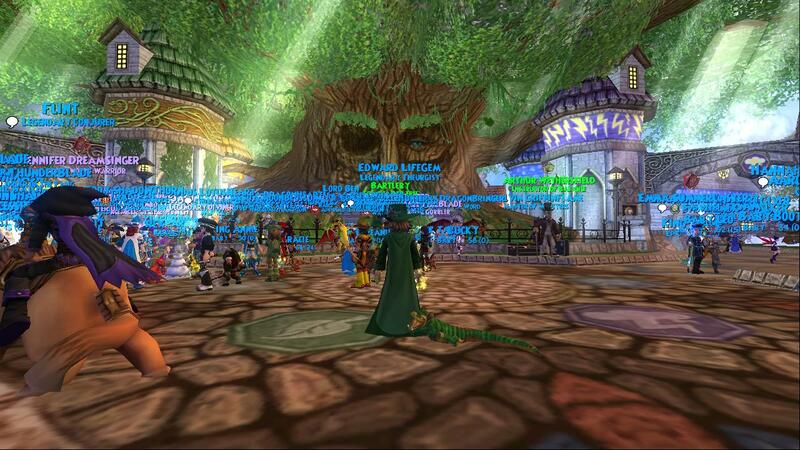 I have had a few friends get bullied and they didn't report them because they logged out very quick. It was the worse thing I could ever hear on a Family friendly game. 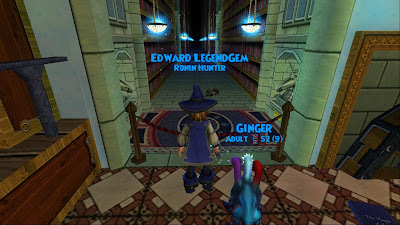 That is something very bad since I have been in the commons almost 2 years, helping. I wonder where the hall leads up to? I wonder if kingsisle will ever let us go in there in the future!? 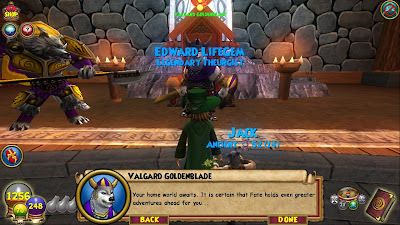 That would be awesome :D Anyways, That is the blog post for today, see ya around the Spiral! 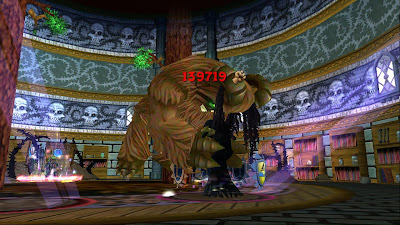 I decided to try out a hit with Forest Lord, it wasn't one million this time, I tried it alone- solo. I wanted to see how much I could do hitting alone. 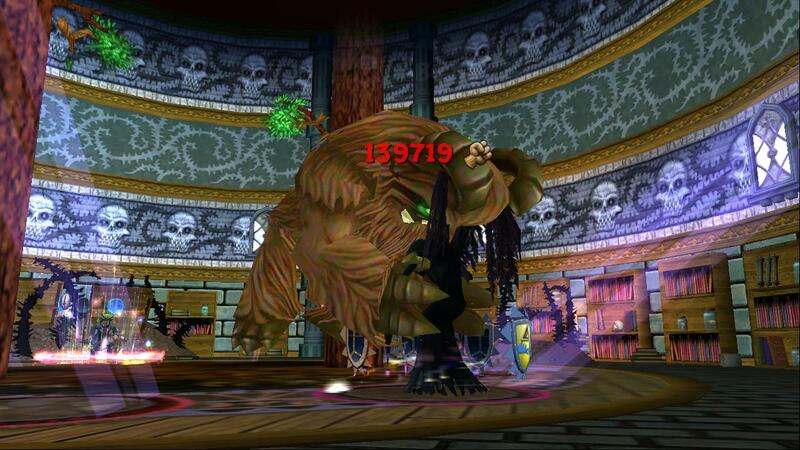 So here are some photos of me hitting the nightshade the wraith. For me, I think that was actually a good hit, trying alone. I didn't get critical on this. I am sure I could hit a million if I tried with a balance character. 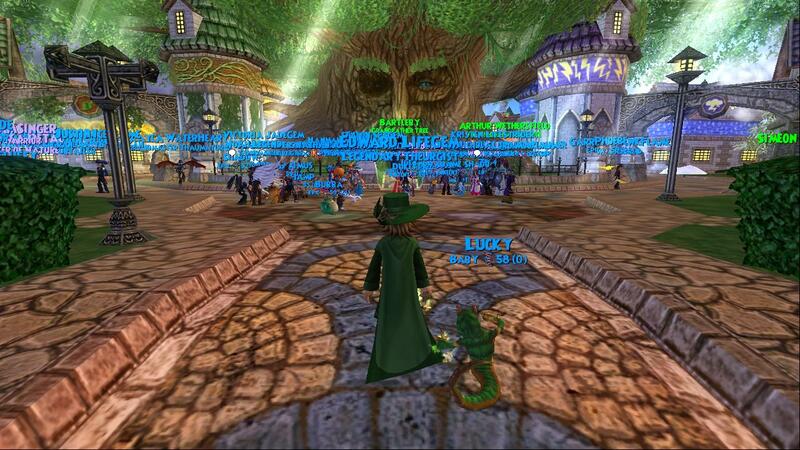 Glad I did hit my goal for over 100,000 on forest lord. That is what I was aiming for! 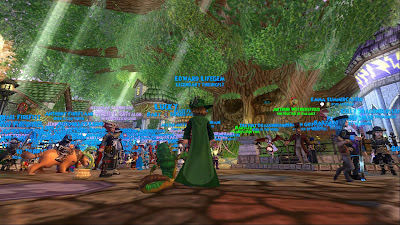 Other than Forest Lord, I really don't have anything to blog about today because I wasn't on Wizard101 much today. I have been sick lately so my blog posts/ pageviews for my blog aren't very good. 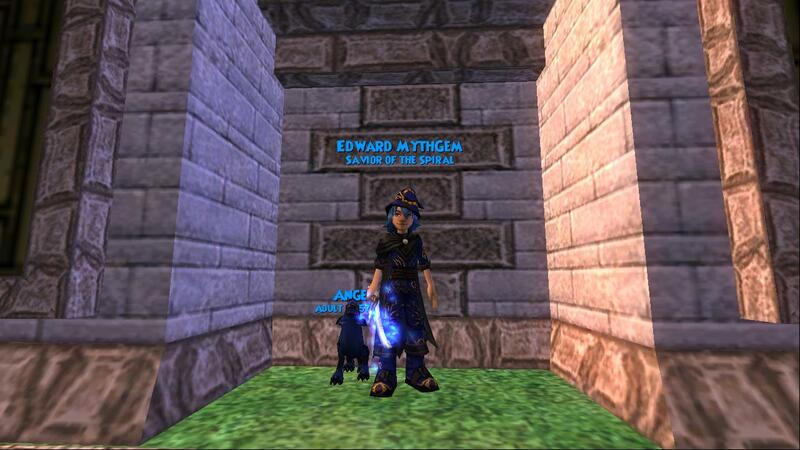 When I get better hopefully I can get on Wizard101 more often so I can have something to blog about. One more thing to show you all is that in the Test Realm yesterday, I leveled a couple of pets! I just wanted to show you all the stats because they were very awesome. I wish the test realm was still online but it went offline so quick that I only tested the Malistaire update one time and I only leveled some pets, I was going to level my Ice Kraken but I didn't get to. 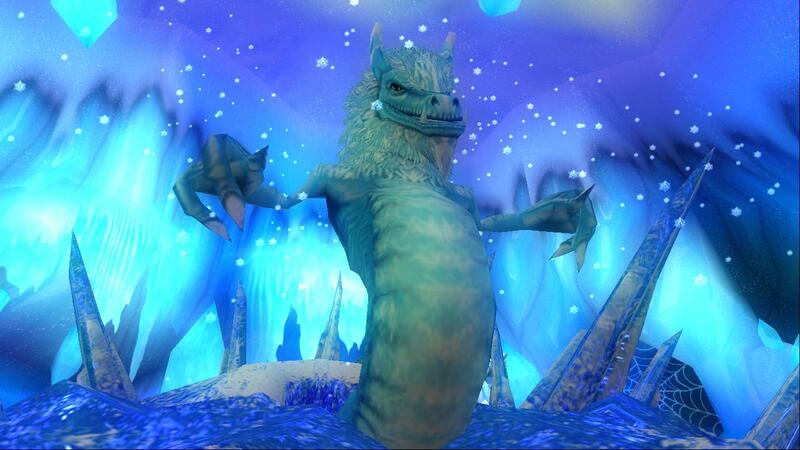 I leveled my Ice scarecrow and I also leveled my Ice wyvern. Here are some of the stats from yesterday! 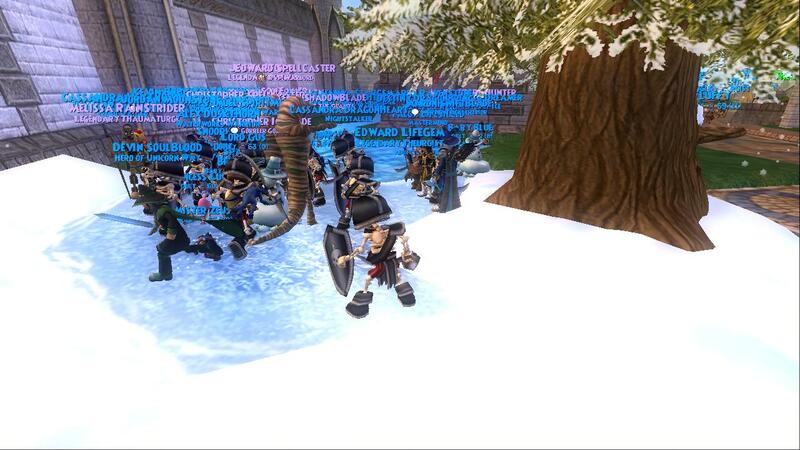 The Ice Scarecrow gave 4 power pips, May cast Ice trap, and May cast death shield! 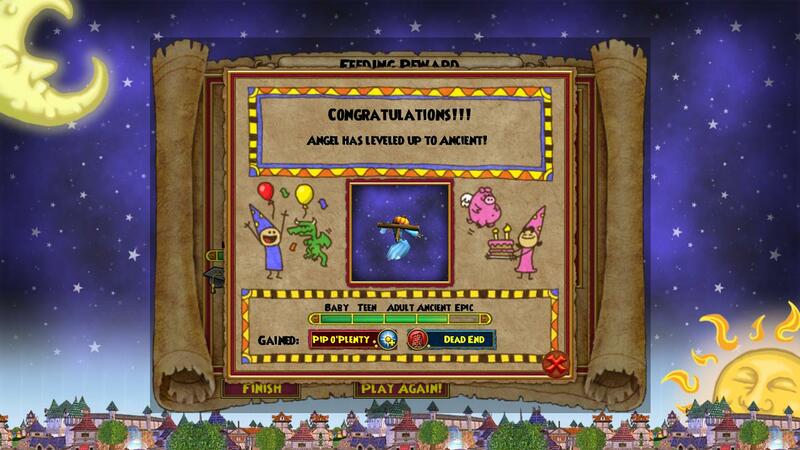 Another pet I leveled was my Ice Wyvern to Ancient! When I had my pet on the test realm, It gave May cast Ice blade, May cast Ice trap and 7 Ice resist! I can't wait to level these pets on the live realm or on the test realm when it is online again to epic! I wonder what my pets would give if I did level them to epic. I can't wait to do that, first I have to get 100 mega snacks though! Wow, that would be a lot of crowns wouldn't it? 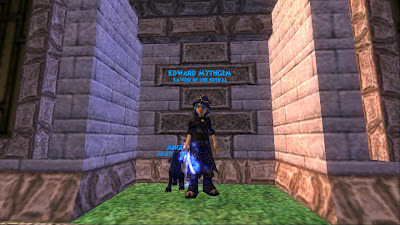 Since I have nothing else to blog about today, I hope you enjoy your day, and Sorry about not really doing great blog posts, I will try to do better ones when I get better and hopefully that will be soon :) See you all Around the Spiral!